The SpaceX CRS-13 Dragon cargo spacecraft is pictured attached to the International Space Station’s Harmony module after it arrived on Dec. 17. 2017. NASA and SpaceX are preparing for the company’s 14th resupply mission to the International Space Station scheduled for liftoff at 4:30 p.m. EDT, Monday, April 2. The official weather forecast from the U.S. Air Force’s 45th weather squadron at Patrick Air Force Base calls for an 80 percent chance for favorable conditions for launch. The primary launch weather concerns are flight through precipitation and cumulus clouds with the showers. 4 p.m. EDT – Prelaunch news conference with representatives from NASA’s International Space Station Program, SpaceX and the U.S. Air Force’s 45th Space Wing. 4 p.m. EDT – Launch coverage begins for liftoff scheduled for 4:30 p.m.
6:30 p.m. EDT – Post launch news conference at Kennedy with representatives from NASA’s International Space Station Program and SpaceX. SpaceX’s Dragon cargo craft is seen during final approach to the International Space Station on Feb. 23, 2017. The commercial spacecraft carried about 5,500 pounds of experiments and supplies to the orbiting laboratory. 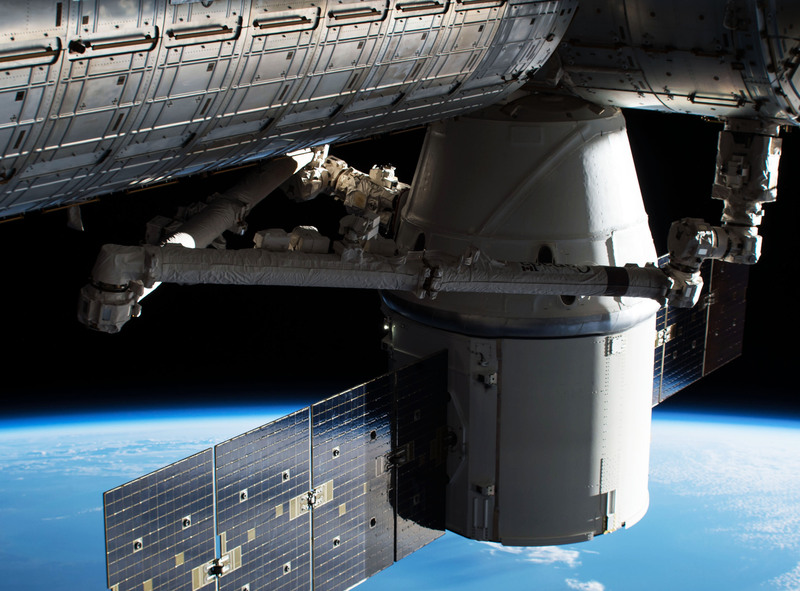 Space station crew members used the station’s robotic arm, Canadarm2, to capture Dragon. Payload: Dragon will deliver cargo and material to support science investigations aboard the International Space Station. Preparations continue for the launch of the next SpaceX delivery of supplies and equipment, including science investigations, to the International Space Station. Launch currently is targeted for no earlier than 4:30 p.m. EDT April 2 from Space Launch Complex 40 at Cape Canaveral Air Force Station in Florida. A Dragon cargo spacecraft, previously flown on SpaceX’s eighth commercial resupply mission to the space station, will launch on a Falcon 9 rocket and includes the first stage booster previously flown on the company’s 12th resupply mission. This is the second SpaceX resupply mission for NASA using both a reused spacecraft and booster. 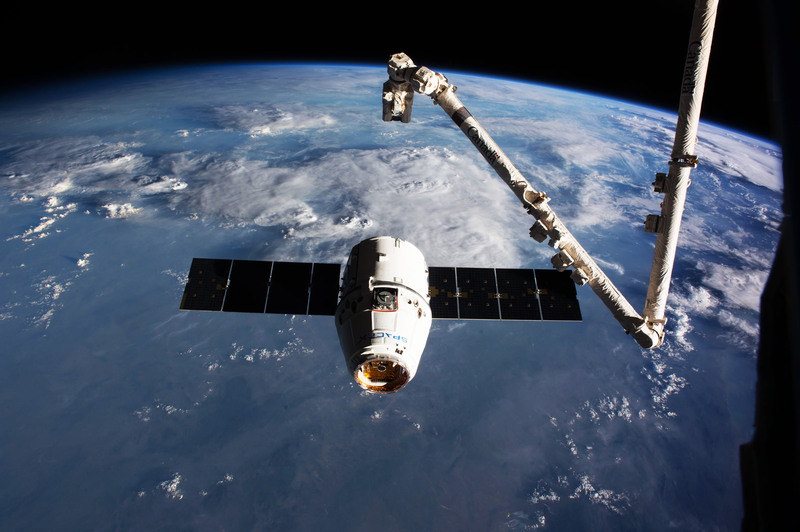 NASA will host a media teleconference at 11 a.m. EDT Monday, March 19, to discuss a number of science investigations and instruments included in the 5,800 pounds the Dragon will deliver to the orbiting laboratory. Audio of the teleconference will stream live on NASA’s website. 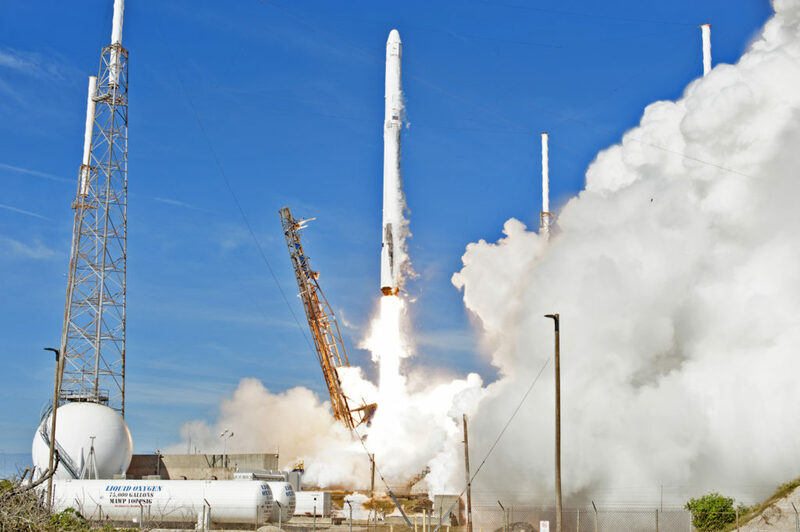 Reporters can still apply for credentials to cover the launch of SpaceX CRS-14 from Florida, but the deadlines to apply are next Monday and Friday. Prelaunch and launch activities will take place at NASA’s Kennedy Space Center and the Cape. Full details and credentialing deadlines are in the media advisory.